The National Diabetes Services Scheme (NDSS) provides a range of services to help you manage your diabetes. These include NDSS products including blood glucose testing strips, needles and pen tips, and insulin pump consumables; most diabetes-related supplies are either free or heavily subsidised to patients registered with the NDSS. There are limits to what can be supplied, who can be supplied and the amounts of products that can be supplied; your Capital Chemist pharmacist can help guide you through the process. The NDSS is an initiative of the Australian Government. Registration with the NDSS is free and open to all Australians who are diagnosed with diabetes. To access the NDSS through your pharmacy you will need to be registered with the NDSS and show either your NDSS membership card or your Medicare card. Your GP or diabetes educator can enroll you in the NDSS once you have a confirmed diagnosis of diabetes. In addition, larger subsidies are available to people who hold Centrelink concession or pension cards, or safety net cards. 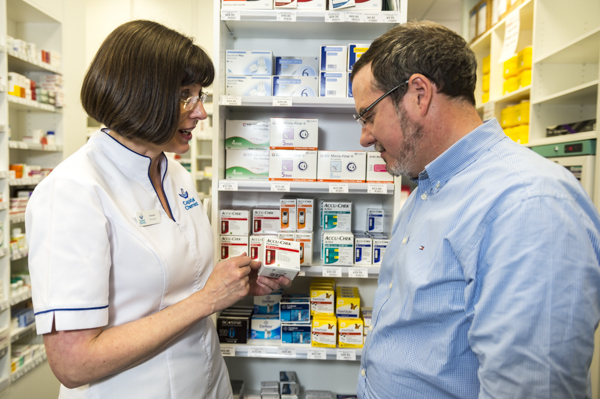 Ask your pharmacy staff if you are not sure which cards are needed to access the NDSS. All Capital Chemists are able to supply your diabetes product needs on the NDSS, as well as having a large range of other products required by and suitable for, people with diabetes.